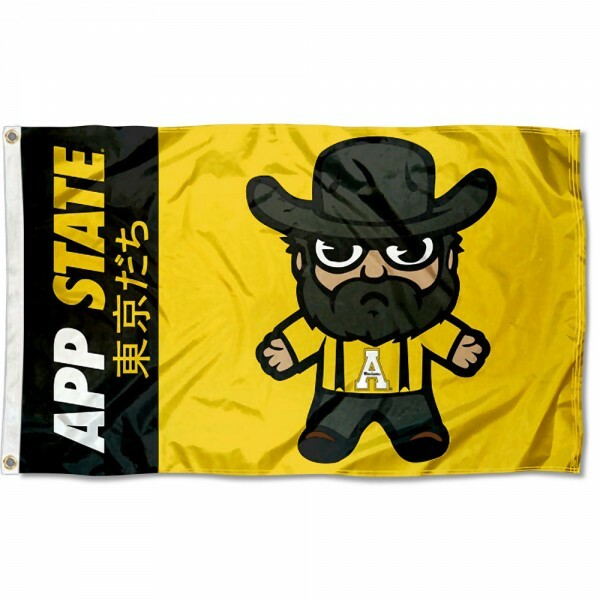 Our Appalachian State Mountaineers Tokyo Dachi Cartoon Mascot Flag is constructed of 100% polyester, measures 3'x5', has quadruple-stitched fly ends, and two metal grommets. The NCAA logos are screen printed into our pole flag which results in a durable and quality finished flag. Fly your Appalachian State Mountaineers Tokyo Dachi Cartoon Mascot Flag with our 16', 20', or 28' tailgate flagpoles or from your home with our aluminum 6' flagpole and aluminum adjustable flag bracket.